What is Professional Indemnity policy? The word indemnity means security or protection against a financial liability. This policy is meant for professionals to cover any financial liability falling on them as a result of errors and omissions committed by them whilst rendering professional service to any clients/patients etc. depending on the indemnity cover/limit taken by the professional. Inclusions/exclusions & terms of the policy issued by insurance co.
WHY Indemnity policy for Doctors & medical centres? Who can take Indemnity policy? i. Doctors and medical practitioners ‐ which covers registered medical practitioners like physicians, surgeons, cardiologists, pathologists etc. ii. Medical establishments ‐ which cover any financial liability falling on the medical establishment such as hospitals and nursing homes, as a result of error or omission committed by any visiting/employed Doctors or qualified assistants engaged by the medical centre. What all can be covered under indemnity policy? Exclusions of standard Indemnity Policy? Basis for indemnity cover amount? The sum insured should be chosen in a manner that it covers any financial liability & legal cost for handling of any medical negligence case in Courts etc. ➢ Probability of claim being filed depends on specialization & procedures being done & risk exposure depending if Doctor is practicing in metro, 2 tier or 3 tier city also. 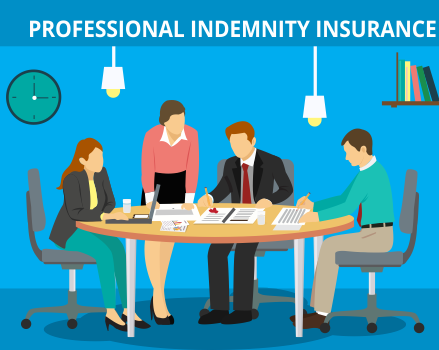 In Professional Indemnity Policy, the sum insured is referred to as Limit of Indemnity. This limit is fixed per accident and per policy period. It is called Any One Accident (AOA) limit and Any One Year (AOY) limit respectively. The retroactive date in a professional indemnity insurance is the date from which uninterrupted professional indemnity insurance has been held, or a date in the past from which the insurer has agreed to cover the doctor. Anything that happened before the retroactive date isn’t covered by the insurance. How to handle claim with Insurance Co.? 5. The Any One Year limit will get reduced by the amount of claim or indemnity paid for any one accident. ● Whether cosmetic surgeons and surgeries covered like hair transplant, dentist etc. ● Ensure that the sum assured is not very small as there can often be a long delay between an event and a subsequent claim, one needs to be covered both at the time of the event and when the claim is made.